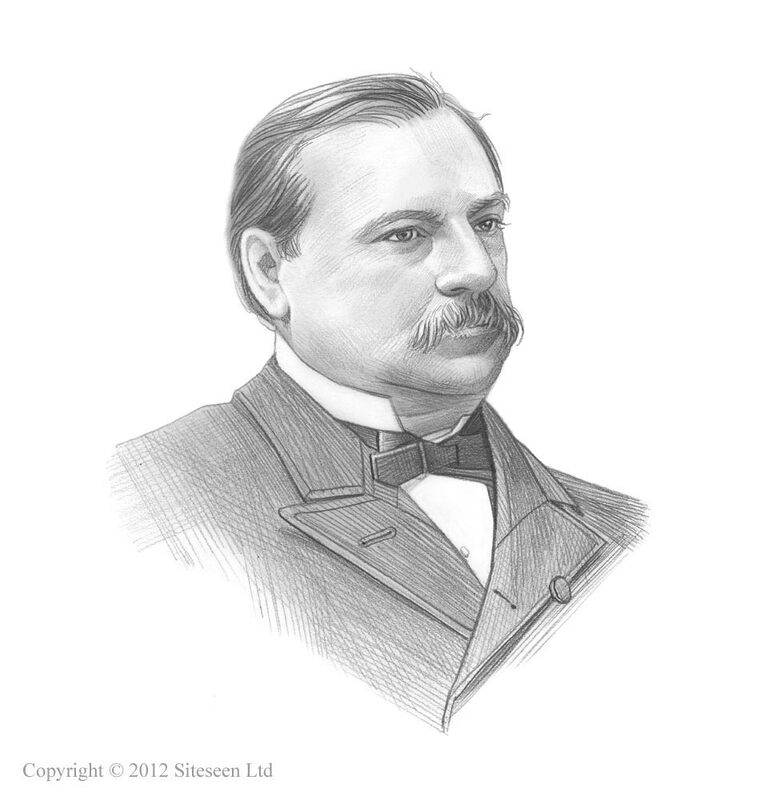 Haymarket Riot: Grover Cleveland was the 22nd and 24th American President who served in office from March 4, 1885 to March 4, 1889 and from March 4, 1983 - March 4,1897. One of the important events during his presidency was the Haymarket Riot. Summary and definition: The Haymarket Riot, also known as the Haymarket Square Riot, occured on May 4,1886 and was a bloody confrontation between Chicago police and protesting workers. A dynamite bomb was thrown by an anarchist at a squad of police officers who were attempting to disperse a labor rally. Seven police officers were killed and many others were seriously injured by the blast. The police responded with gunfire and more people were killed and over 100 people were injured in the Haymarket Square Riot. The bomber was not identified but eight men were convicted of conspiracy and inciting violence and four were hanged as anarchists. The Haymarket riot happened on the rainy evening of May 4, 1886 at about 10.30pm when the last of the speakers at a labor rally were addressing the remaining crowd. Tensions were high but the rally had been peaceful. Without warning there was a deafening explosion - an anarchist had thrown a dynamite bomb into the group of police officers who were trying to disperse the crowd. The Haymarket bombing in Chicago began with the explosion of a dynamite bomb that was thrown into a group of policemen. The bomb explodes with a frightening noise and people were temporarily blinded blinded by the blinding flash of the explosion. There was complete panic in the carnage, people lay dead, screaming and injured. The bomb killed seven men, crippled a further eleven officers for life, and injured another twelve other police officers so badly that they were unable to return to duty for a year. The Chicago police responded with indiscriminate gunfire, killing both police officers and workers in the square. The total number of people injured in the confrontation in the Haymarket Square in Chicago was nearly one hundred. The issues of worker's rights and working conditions brought about the emergence of the Unions, strikes, protests, demonstrations and riots across the country. For addition facts refer to the article on the Labor Unions History. On May 3, 1886 the Chicago police clashed with pickets at the McCormick factory and opened fire on the striking workers, killing, four and wounding many more. A protest rally was called for the following day on May 4, 1886 at Haymarket Square. Sunday, May 2, passed without incident. The striking workmen in Chicago were chiefly factory workers, lumbermen, brick-makers, freight-handlers and iron-workers. There were many parades and many of the leaders of the workers made speeches, some of which were highly radical. Some of the strikers favored militant protests and no doubt some of the more vocal rabble-rousers were anarchists. However, the massive majority of workers were peaceful men, taking strike action to improve the lives of their families. Strikers attempted to negotiate with the employers but the majority refused to concede to any of the striker's demands. The next day about 12,000 strikers gathered at the McCormick Reaper Works on Western Avenue, Chicago. The strikers armed with stones shattered the windows of the factory. The police arrived but the mob refused to disperse and started showering the police with stones. The policemen fired twice over the heads of the rioters and then fired directly at the rioters killing four and injuring many others. The following day would see the Haymarket Riot bombong. A protest rally was called on Tuesday, May 4. There were no serious conflicts between the strikers and the police but a further meeting was called in the evening at the old Haymarket Place. The meeting took place and the incendiary speeches of the militant strikers were suddenly accompanied by the explosion of a bomb. The Chicago bombing shocked the nation and marked the anarchist movement as violent and Chicago as a hotspot of labor protests and conflict. On Wednesday May 5, 1886 there was anger and confusion in Chicago. No one was able to identify the person who threw the bomb but Chicago police rounded up labor leaders, searched houses (without warrants) and Union newspaper offices were closed down. Hundreds of leaders of the labor movement were hauled into jail for questioning, not just in Chicago, but throughout the country. And Martial Law was declared across the nation. Judge Joseph E. Gary imposed the death sentence on seven of the men, and the eighth, Oscar Neebe, was sentenced to 15 years hard labor for their involvement in the Haymarket Riot. On November 10, 1886, the day before the executions, Governor Oglesby changed the death sentences of Samuel Fielden and Michael Schwab to life imprisonment. On the eve of his scheduled execution, Louis Lingg committed suicide in his prison cell. His death is surrounded with mystery as he committed suicide with with a smuggled blasting cap, even though he was expecting his sentence to be commuted. The blast blew off half his face and he survived in agony for over six hours. On November 11, 1887, Samuel Fielden, Adolph Fischer, August Spies, and Albert Parson were all hung for the Haymarket Riot. The trial following the Haymarket Riot was seen as a serious miscarriage of justice and the defendant's lawyers were widely criticized for incompetence. Seven years later, in June 1893, Governor John P. Altgeld pardoned the three men who still alive and serving prison sentences. He condemned the entire judicial system that had allowed the injustice.